We have a range of support departments, working behind the scenes across the capital. 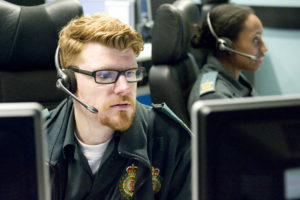 Join us and you will play a crucial part in helping to deliver emergency medical care to Londoners. We have career opportunities in areas including fleet support, finance, information management and technology, human resources, press and communications, and administration. Generally, our support staff work 37.5 hours per week, although some exceptions apply. Some roles might include being part of an on-call rota as well. Salaries vary according to the job you are applying for, however, all of our staff receive a benefits package. Take a look at our benefits page for the full list. First, you will need to check our current vacancies page to see what roles we are recruiting to. All posts are advertised with an application pack. Some of the documents within the pack provide more information about the role, others are to be completed when you apply for the post. You should refer in particular to the person specification document when you are filling out your application, and ensure you clearly evidence how you meet the requirements for the role. If you are shortlisted for a vacancy you will be invited to attend an interview. Full details will be provided to you about this.